Brighton are set to kick-off their Carabao Cup campaign this week - and there’s some important rule changes that the club will need to be aware of. 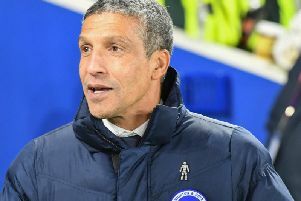 Chris Hughton’s men face a first round tie against south coast rivals Southampton as they take the first steps on the long road to Wembley. That means that, should Brighton’s first round tie be level after 90 minutes, the game will go straight to penalties. Clubs also voted to remove the seeding element from the first two rounds of the competition, meaning that Brighton could face a side from any of the top four divisions should they progress. Bookings are also now competition-specific - meaning that any yellow cards picked up in this competition won’t translate to a suspension in the league. Such news is a boost for clubs, but means players will have to tread on thin ice to avoid missing out on a potential glamour tie later in the competition. VAR can also be used in Carabao Cup ties played in Premier League stadiums this season.